Love is the wick that is central to the candle. Love is the flame that burns continually in the heart of God. 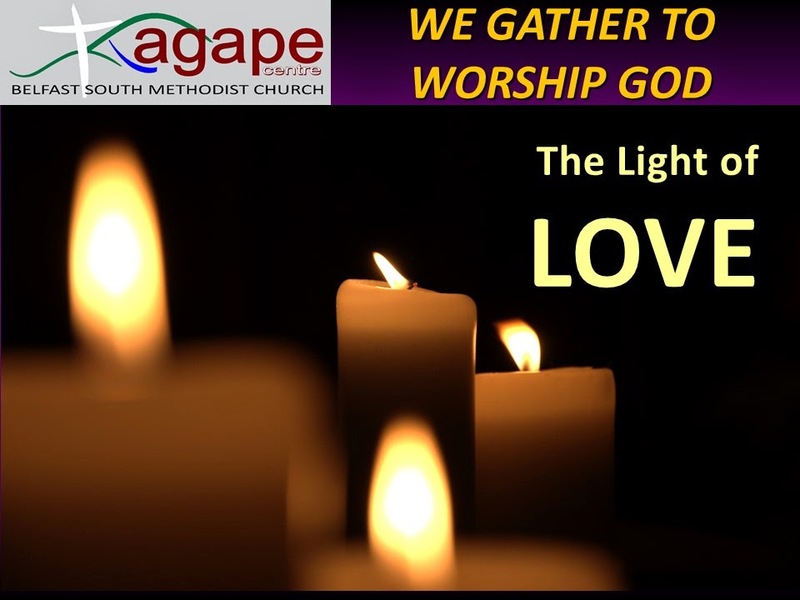 Love is the unquenchable light given by God to burn in the darkness. Love is the light given by God to burn in our hearts. (The candle is lit.) Let us pray: Source of light, shine in our lives and in your world with your eternal and infinite love. 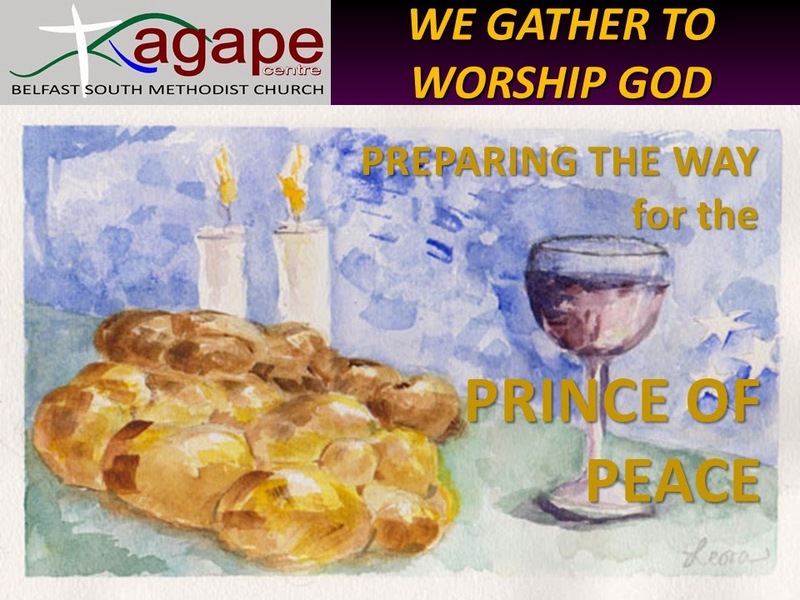 Through Jesus in whose name we pray. Amen. 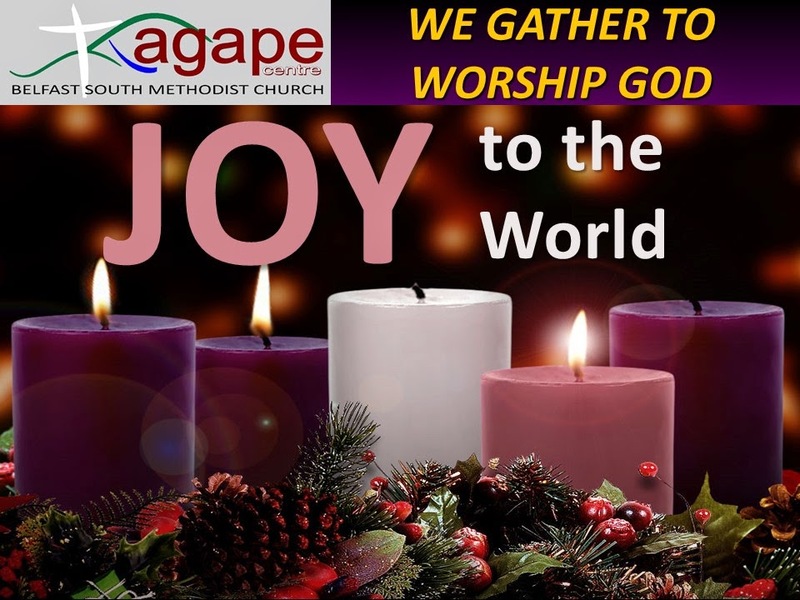 The third of Advent Candle Liturgies we are using this year at Belfast South Methodist, based on the work of Rev. Mary Whitson, for the Canadian Presbyterian Church's World Service & Development Department. 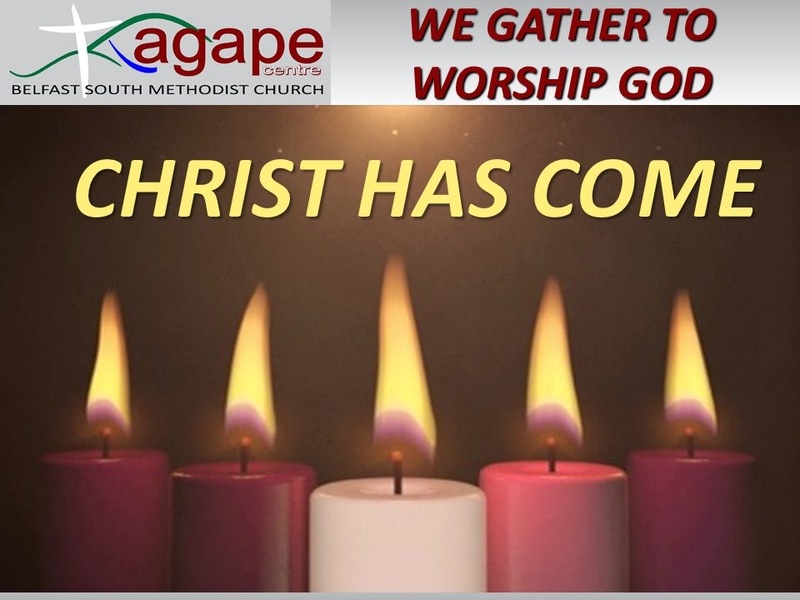 Here is the Candle Liturgy we will be using tomorrow morning in our Advent Communion Service at Belfast South Methodist. Once again it is based on the work of Rev. Mary Whitson, who produced this year's material the Canadian Presbyterian Church's World Service & Development Department.